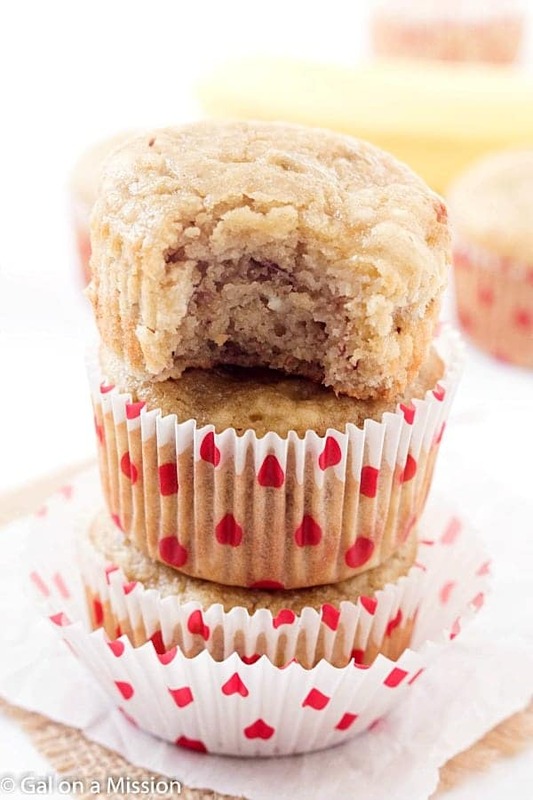 Banana Bread Muffins – Incredibly moist, finger-licking, great for on-the-go! 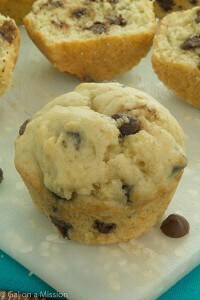 A family favorite for breakfast or even dessert! You guys, I have to tell you a little secret of mine. Not many know. But I am in love with banana bread right now. Everything I crave is strictly for banana bread. I thought I would make a version that is easier to take on-the-go or on a picnic with the weather. What were some of the activities you did this weekend? We mostly worked outside in the yard. Couldn’t come inside without dirt under my nails. 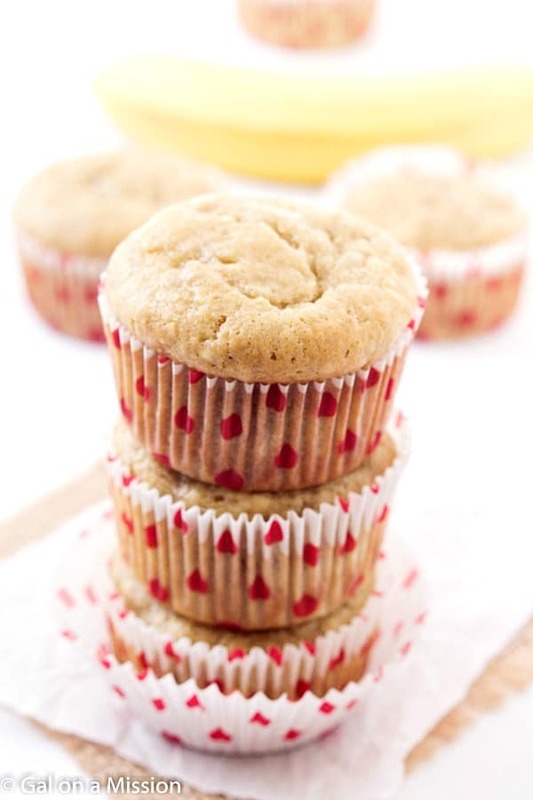 Oh…spring how I love you and these banana bread muffins, too. 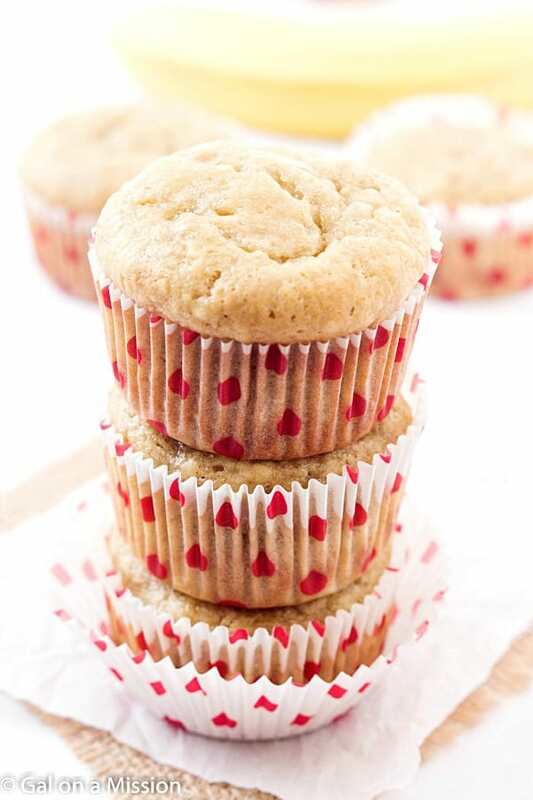 These little guys are cute and a delicious option for packing in lunches for a quick dessert after your lunch. They are even great when you are running out the house so fast because you are about to be late. Or you do not want to be stick in traffic, so you quickly forget anything related to breakfast. You won’t forget about these banana bread muffins, though. They are so quick to swipe off the counter or whenever you store them. I might even come back in for a second to grab another one. They are quick to consume, too – my friend. There is nothing hard about making them either. You will need to make sure you have a good mixing bowl, a whisk, and a plastic spatula. Oh, and a muffin tin. I used a regular muffin tin, but you can also use a large one. You will have to increase the baking time. Use with or without muffins liners. I had some heart ones laying around, so I thought they would be cute since I heart these finger-licking muffins. I am really eyeing these liners, though! Preheat oven to 350 degrees. Line a muffin tin with liners or grease if not using liners. Set aside. Whisk together the milk, oil and eggs together in a large mixing bowl. Stir in the mashed bananas. Slowly whisk in the light brown sugar and vanilla extract. Using a plastic spatula; fold in the flour, baking soda, and salt. 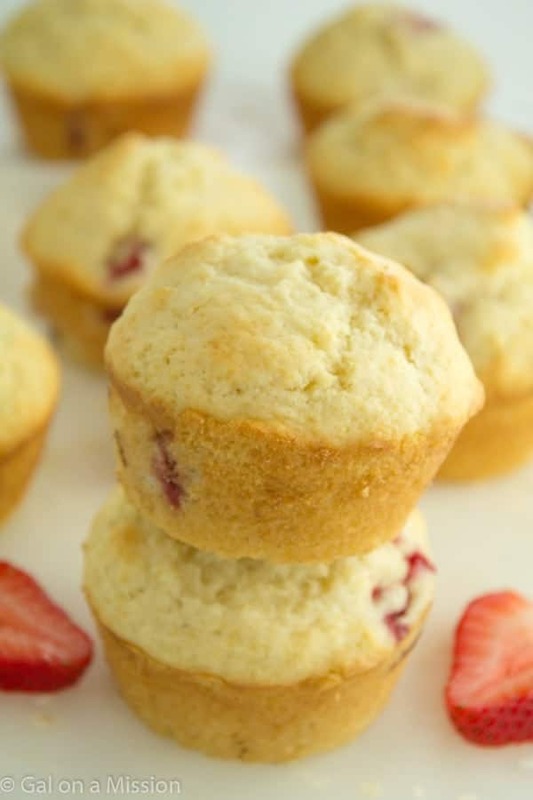 Pour the batter into the muffin tine ¾ of the way. 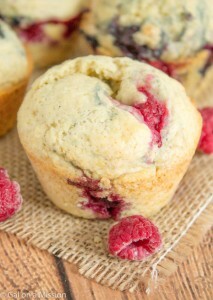 Bake for 17-22 minutes or until browned and firm on the top of the muffins. With my oven, I needed 22 minutes. 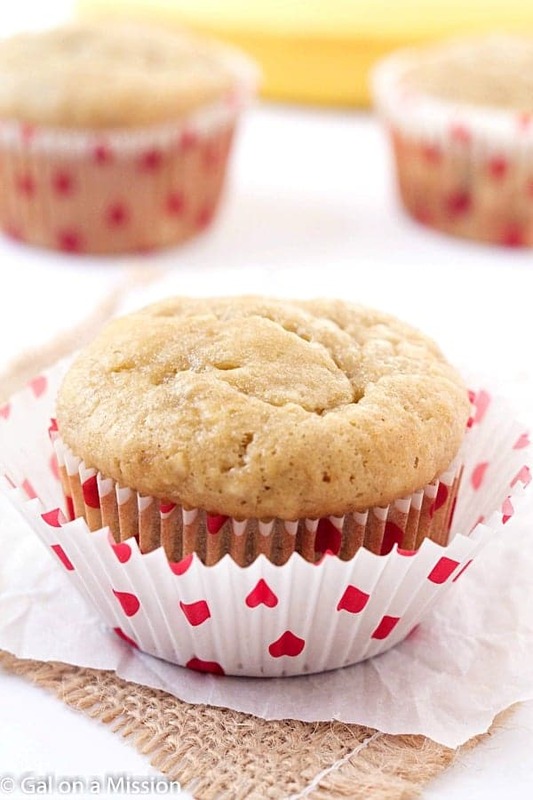 Best, Easiest, Yummiest Banana Muffins! My Husband loves these! So glad you enjoyed it, Jacquelynn! !